Lighthouses are a top attraction to see while visiting Westwood Shores Waterfront Resort. 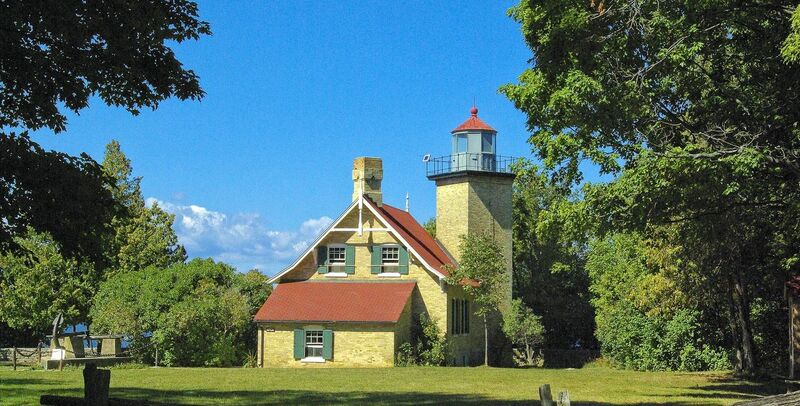 Door county has over 300 miles of picturesque shorleine and you will find historic lighthouses standing testament to our rich maritime heritage. Many of these historic structures are still oerational and welcome visitors with compelling stories and beautuful views. We reccomend you visit the Eagle Bluff Lighthouse located in Peninsula State Park, Fish Creek. Or hike out to the Cana Island Lighthouse in Baileys Harbor. For more information on Cana Island and many of the lighthouses visit the web site for the Door County Maritime Museum here. Public access and tour availability vary by lighthouse. You can take a boat, trolley, kayak or segway tour while you are here. Several of local business that offer tours around or near the ligthouses. For more information on scenic tours click here.